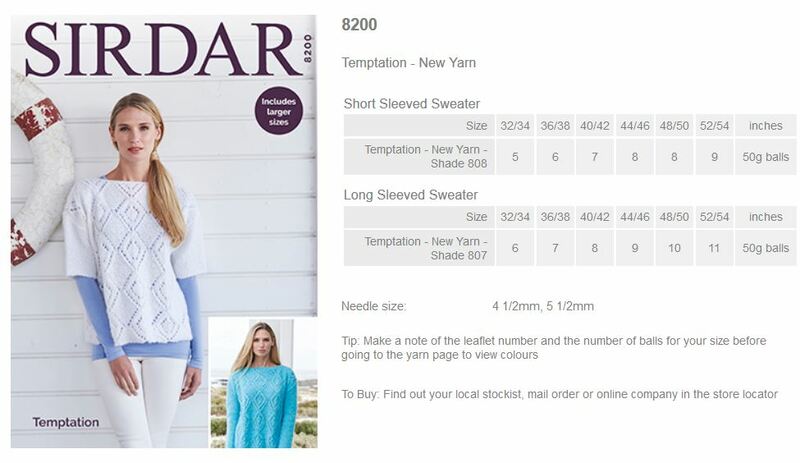 8203 - Short and Long Sleeved Sweaters using Temptation Leaflet with designs for Short and Long Sleeved Sweaters using Temptation. 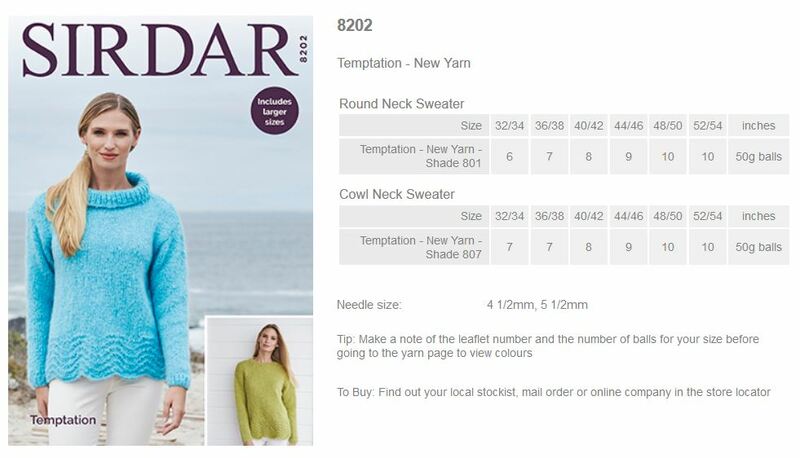 8202 - Round and Cowl Neck Sweaters using Temptation Leaflet with designs for Round and Cowl Neck Sweaters using Temptation. 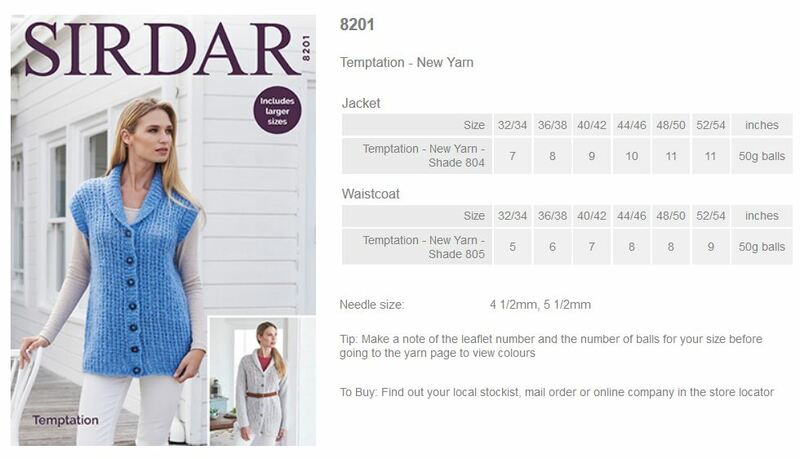 8201 - Jacket and Waistcoat using Temptation Leaflet with designs for a Jacket and Waistcoat using Temptation. 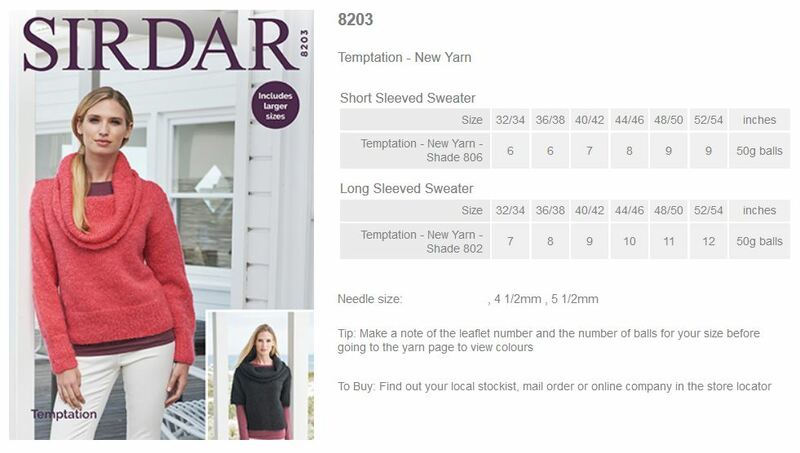 8200 - Long and Short Sleeved Sweaters using Temptation Leaflet with designs for Long and Short Sleeved Sweaters using Temptation. 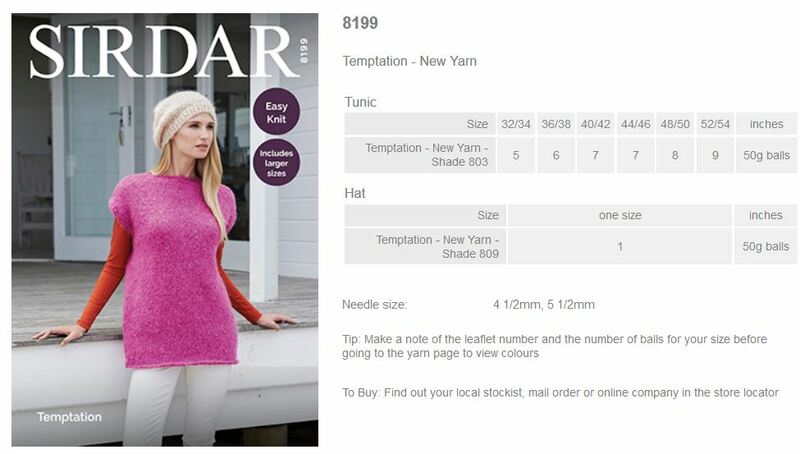 8199 - Tunic and Hat using Temptation Leaflet with designs for a Tunic and Hat using Temptation. 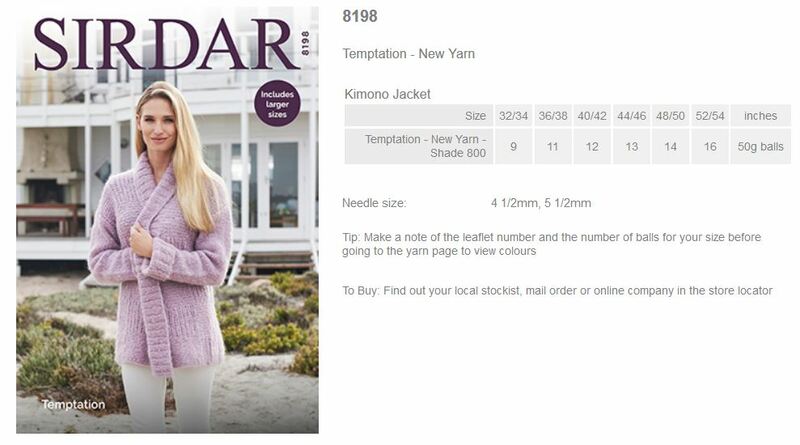 8198 - Kimono Jacket using Temptation Leaflet with designs for a Kimono Jacket using Temptation. 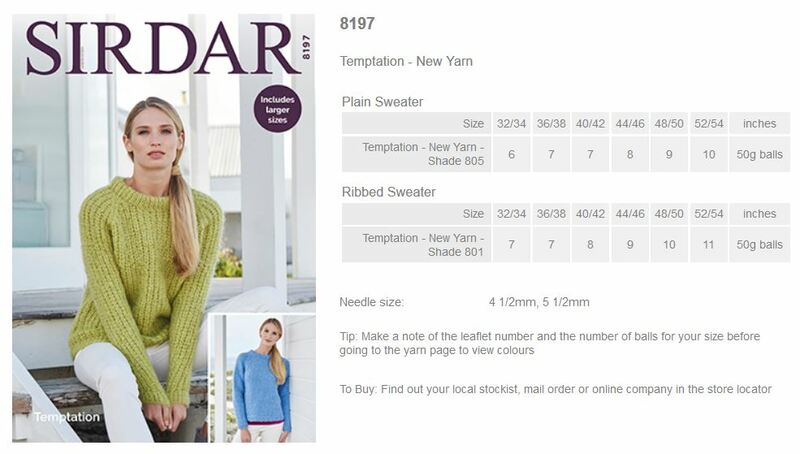 8197 - Plain and Ribbed Sweaters using Temptation Leaflet with designs for Plain and Ribbed Sweaters using Temptation. 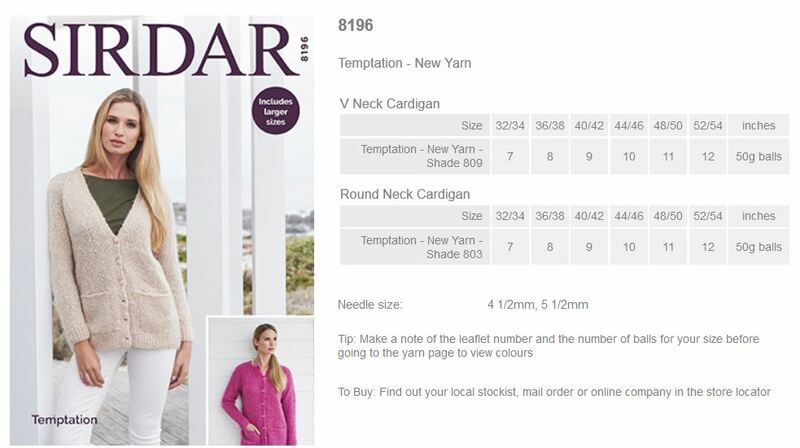 8196 - Round and V Neck Cardigans using Temptation Leaflet with designs for Round and V Neck Cardigans using Temptation. 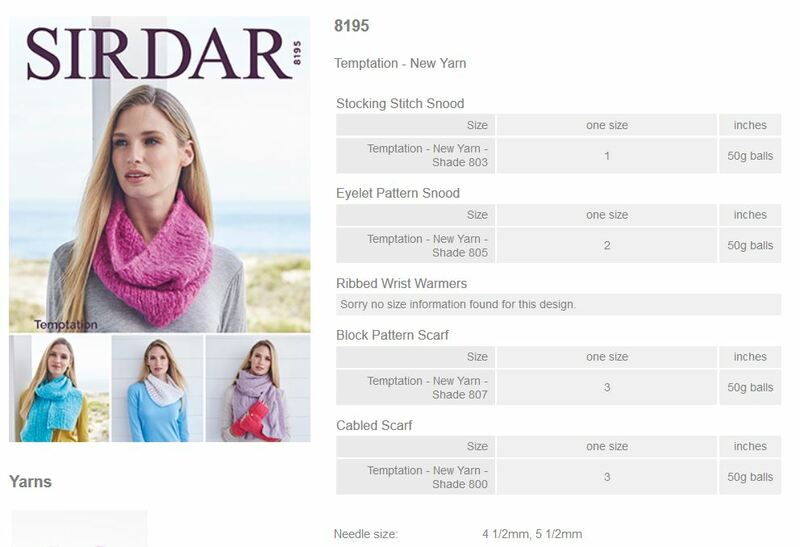 8195 - Snoods, Wrist warmers, and scarves using Temptation Leaflet with designs for Snoods, Wrist warmers, and scarves using Temptation. 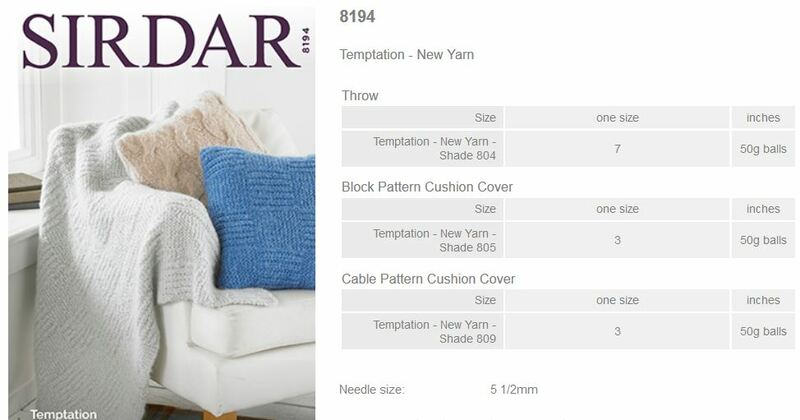 8194 - Throw and Cushion Covers using Temptation Leaflet with designs for a Throw and Cushion Covers using Temptation.